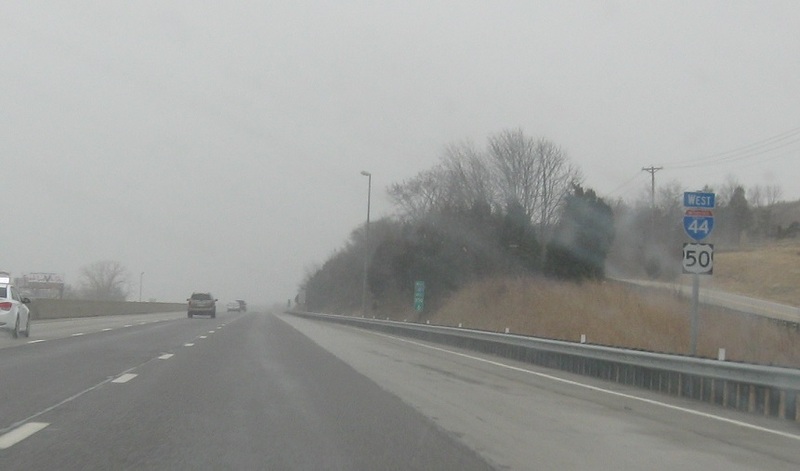 :O – a real I-44 shield! 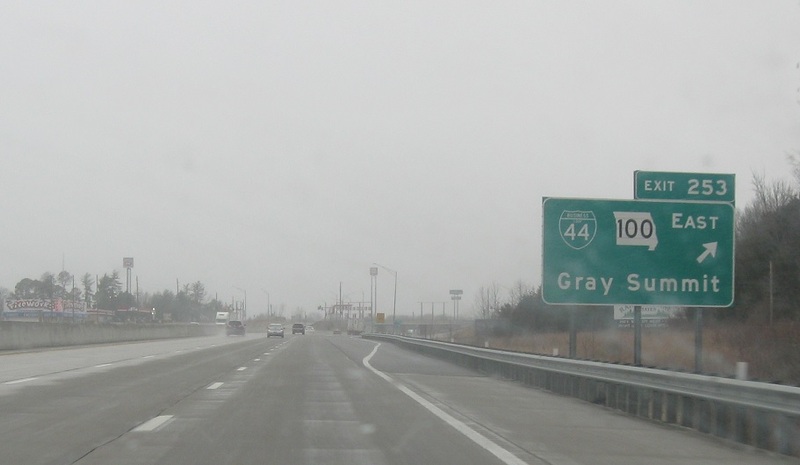 As we approach Gray Summit, Route 100 will more closely parallel I-44. 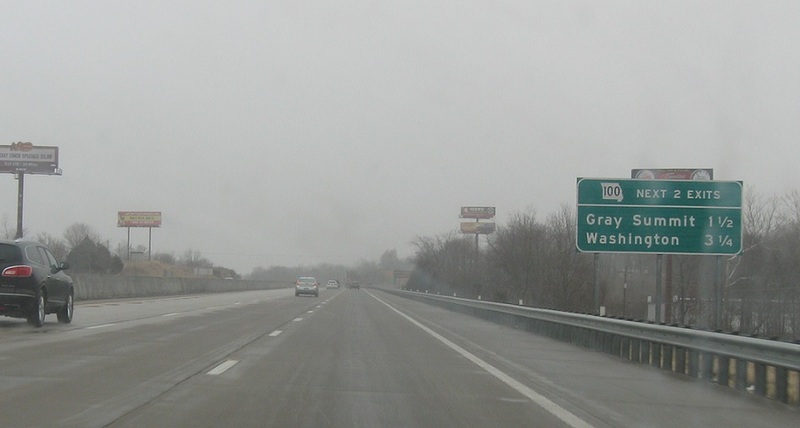 1 mile to Route 100, which will carry I-44 Business westward. 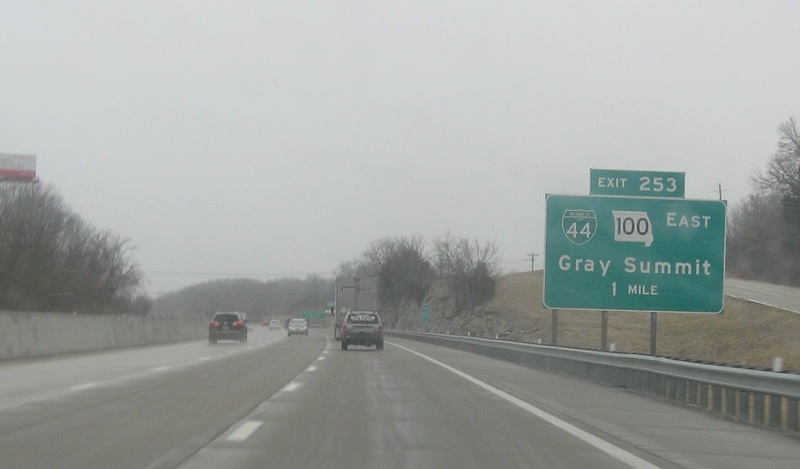 Exit for I-44 Business west and Route 100 in both directions.